Old Kinderhook’s ninth hole offers a full-length view from the facility’s lodge. The Ozarks is an unusual region of the country. Broadly defined, this beautiful area encompasses parts of Missouri, Arkansas, Kansas and Oklahoma. 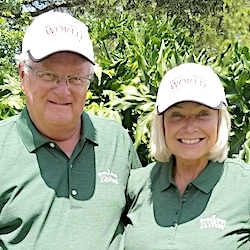 Golf-wise its central point is Missouri’s Branson area and Johnny Morris’ array of exciting projects there. Top of the Rock and Mountain Top are Morris courses completed in recent years. Ozarks National, a Bill Coore-Ben Crenshaw design, is set to open on Sept. 1 and Tiger Woods’ Payne’s Valley is targeted for 2019. That’s going to become America’s greatest golf destination eventually. There’s another part of the Ozarks – a segment that still in Missouri – that shouldn’t be missed either, however. 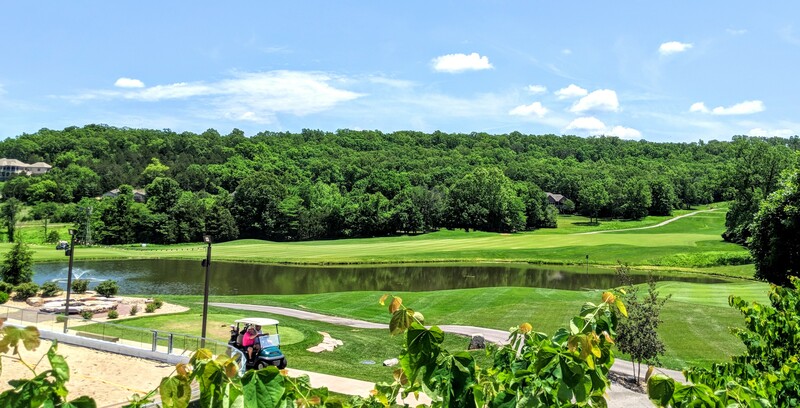 A 100-mile drive north of Branson is the long-respected Lake of the Ozarks Golf Trail, an area with a conglomeration of 13 courses that are plenty good, too. Heading that list is Old Kinderhook, a Tom Weiskopf design in Camdenton. 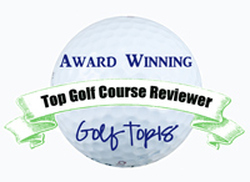 You can be assured the ideal combination of good golf and good lodging when you visit this place. This year the 700-acre facility has a new professional in Shane Blankenship. Formerly at Sullivan Country Club in the central part of Missouri, Blankenship is well decorated as both a teacher and player and is directing the Old Kinderhook golf school while Jason Woods is the head professional at Old Kinderhook. With its attractive elevation changes, the Old Kinderhook course is a tester, and its conditioning was excellent on our visit. 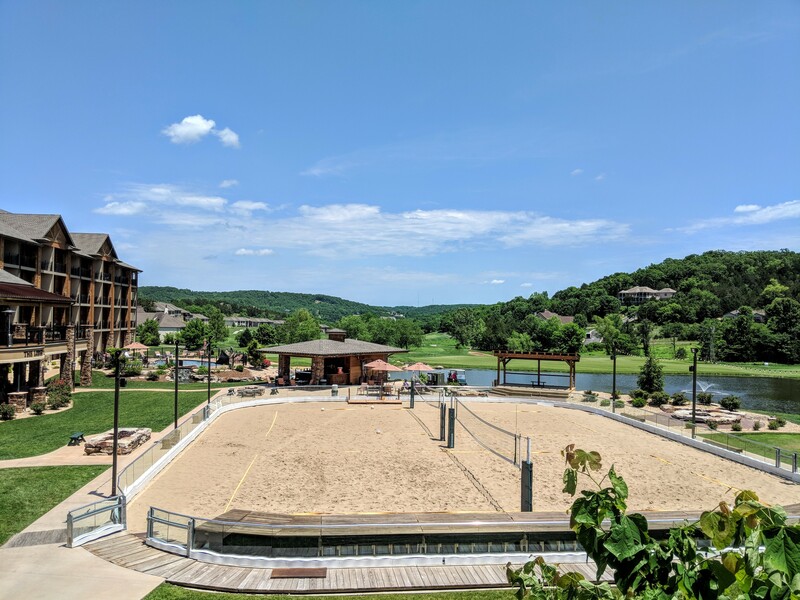 The Lodge at Old Kinderhook has on-site restaurants, marina, spa, swimming pools, fitness center and even a volleyball facility. In short, other activities are available besides just golf at that location. Golf isn’t the only nice viewing at Old Kinderhook. Volleyball works, too. Stay & Play packages include other facilities as well. Osage National, in Lake Ozark, is an Arnold Palmer design and his original renderings of all 18 holes are on display in the recently updated Eagle Bar and Grill. Blankenship isn’t the only new pro on this trail. Jamie Martin moved to Bear Creek Valley in Osage Beach. Troon Golf has taken over the management at The Lodge of the Four Seasons’s Ridge and Cover courses in Lake Ozark. The Tan-Tar-A Resort is in the process of transitioning to a Margaritaville Resort property, with the grand opening scheduled for 2019. 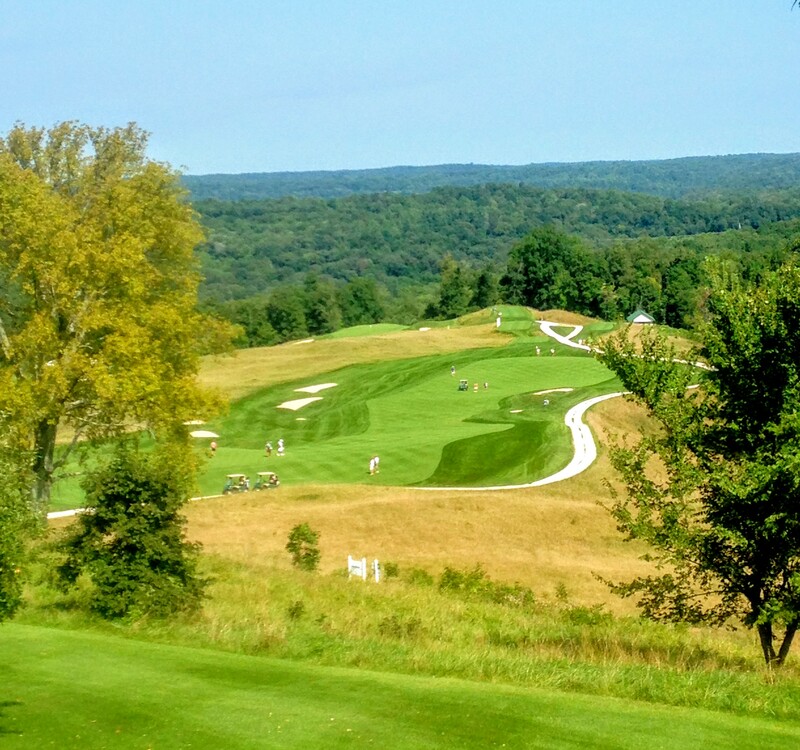 The Pete Dye Golf Course at French Lick remains the highlight of Indiana’s re-launched Dye Trail. CHANGES ON PETE DYE TRAIL: Indiana’s collection of Pete Dye-designed courses has been re-launched, with the Indiana Office of Tourism Development taking over the managing and marketing. The Trail has one new addition, the Ackerman-Allen Course on the Purdue University campus in West Lafayette. Plum Creek, one of the original members located in Carmel, is under new management and — while still open for play — is no longer part of the Dye Trail. Ackerman-Allen is part of the Birck-Boilermaker Golf Complex that is the home for Purdue’s teams. One course at the Complex, the links-style Kampen, was included in the original Dye Trail. The other, known as the South Course and later Ackerman Hills, was designed by the Bill Diddel. He was a prolific Indiana-based architect who had 160 courses on his resume, including 52 in his home state. Diddel, who died in 1985 at age 100, was as much of a Hoosier legend as Dye — but not just for his architectural efforts. He was inducted into the Indiana Basketball Hall of Fame and also won the Indiana Amateur golf title five times. Diddel’s design earned a significant place in golf history in 1961 when Jack Nicklaus won his only NCAA individual title there. Purdue was also the NCAA team champion that year, creating a moment of athletic glory for the host school. While there was some reluctance to tearing down a course with so much history, the replacement quickly won over the players. 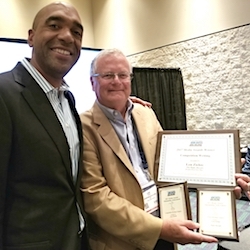 Backed financially by Sam Allen, a former Purdue golfer who became the chief executive officer of John Deere Company, the Dye renovation was named the Ackerman-Allen Course. Dye changed all the green complexes and much of the routing while switching the course from bluegrass to bentgrass. He also built two new holes, a par-4 and par-5 at Nos. 15 and 16. The new course opened in the summer of 2016 and both courses were used for last year’s Indiana Open. Could there possibly any more stunning views than those offered at French Lick Resort’s Dye Course? NEW LEADER AT BAY HILL: Don Emery is now the president and general manager at Arnold Palmer’s By Hill Club & Lodge in Orlando, Fla.
Emery had been at California’s famed Riviera Country Country Club the previous six years as general manager. Before that he was GM at Interlachen in Winter Park, Fla.
During his stint at Riviera that club hosted top-flight events in both golf and tennis. It was the site of the 2017 U.S. Amateur and the PGA Tour’s Northern Trust and Genesis Open in golf as well as the annual International Tennis Association Women ‘s All-American Championship. MORE HONORS FOR NEMACOLIN: Nemacolin Woodlands Resort, in Farmington, Pa., continues to dominate Golfweek Magazine’s Best Courses You Can Play list. Nemacolin’s Mystic Rock layout was named Pennsylvania’s best public course the last four years and it’s also No. 45 in the publication’s Best Resort Courses in the U.S.
Shepherd’s Rock, like Mystic a Pete Dye design, opened last July and made its debut on the rankings list at No. 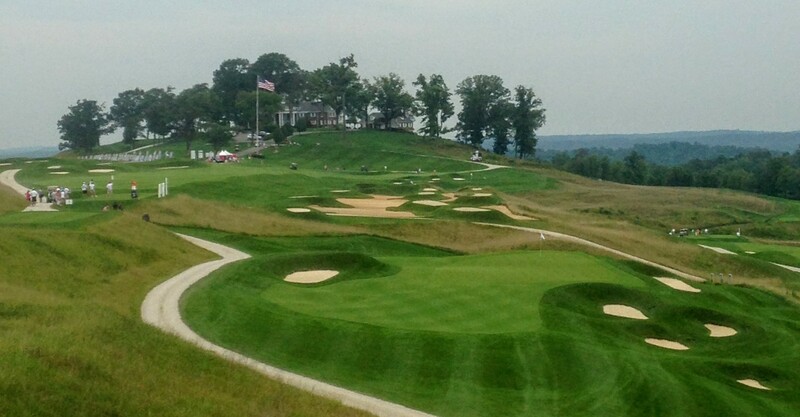 5 among the Best Courses You Can Play in Pennsylvania. TAGMARSHALL AT PINEHURST: Tagmarshall, a sophisticated pace of play system, is now operational at North Carolina’s Pinehurst Resort. It’s a course intelligence system that uses small tags attached to golf bags or installed on carts to transmit location data. Its supporters contend that Tagmarshall turns pace of play into an asset with reductions of 15 to 17 minutes per round reported at some courses. Other facilities using Tagmarshall include the Ocean Course at Kiawah in South Carolina, Whistling Straits and Erin Hills in Wisconsin, East Lake in Atlanta and Valhalla in Louisville. 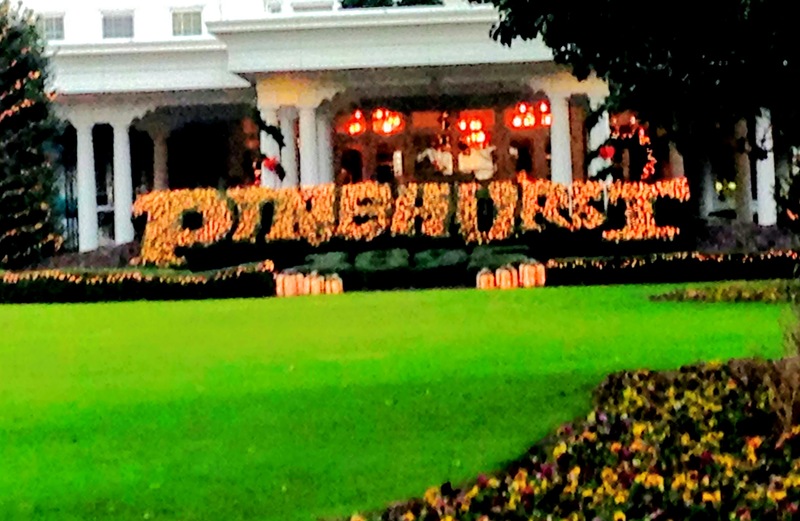 Pinehurst Resort is always at the cutting edge in providing for its golfers.